Add authenticity to your historical re-enactment or personal collection with the addition of fantastic Deepeeka weapons from Buying a Sword. 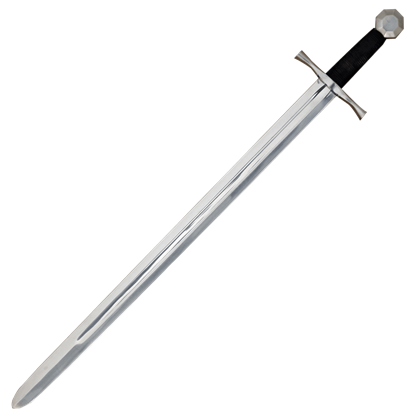 The Deepeeka brand produces excellent decorative swords and weapons replicas from a variety of historical periods and cultures ranging between medieval, Greco-Roman, Viking, Egyptian, Celtic, and beyond. 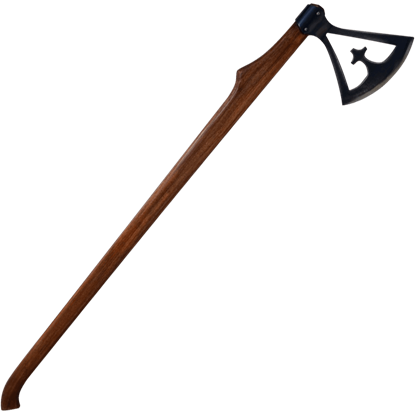 The types of ornamental weapons include pole arms, axes, daggers, maces, war hammers, and others. The collectible swords make great costume swords, training weapons, or display pieces. 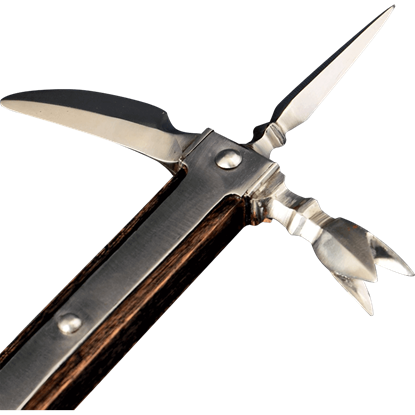 The decorative weapons are crafted with authenticity in mind, making these Deepeeka products a great choice for re-enactors and collectors. Whether you are looking for a bec de corbin, a flanged mace, a Turkish scimitar, a medieval arming sword, a pugio dagger, or a Renaissance rapier, you can find something of interest here! Vikings are known as one of the most brutal groups of people to have existed, yet they were also capable of incredible craftsmanship. The 10th Century Gotland Viking Cross Axe is an homage to the bold weapons used by these warriors. This 11th C. Viking Sword is an almost instantly recognizable style of sword, one that is as iconic as the people who made it famous! In your hands, it will make you feel more like a Viking, allowing you to channel your inner Norseman. A crusader lived or died, by their blade, so as you can imagine, some took their swords very seriously. For pure efficiency, a sword in the style of this 12th C. Crusader Sword would have been favored, for its shape and its availability. St. Maurice, also known as Mauritius, was the leader of the Roman Theban Legion during the 3rd century. This 13th C. Sword of St. Maurice venerates him and his actions, which made him the patron saint of soldiers, knights, and warriors. 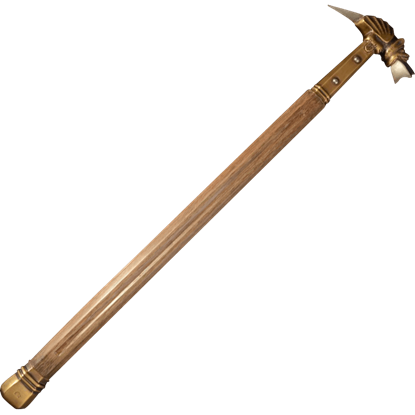 In medieval times, the polearm was a popular weapon used in combat, meant to crush an opponent with a few blows. The 14th Century Bec de Faucon is one of the most deadly of these weapons, its features meant to disarm an enemy quickly. 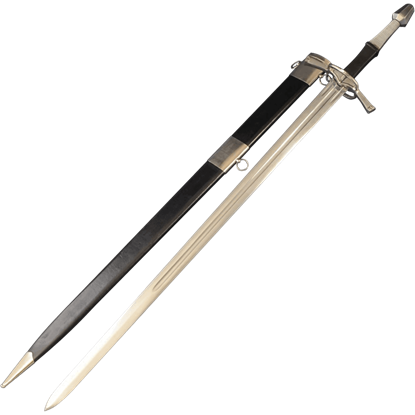 Based on a famous museum piece found in the Royal Armouries in Leeds, this 1432 Milanese Sword with Finger Guard is a part of the Primus collection, as well as stunning recreation of the Type XIX Oakeshott style sword. 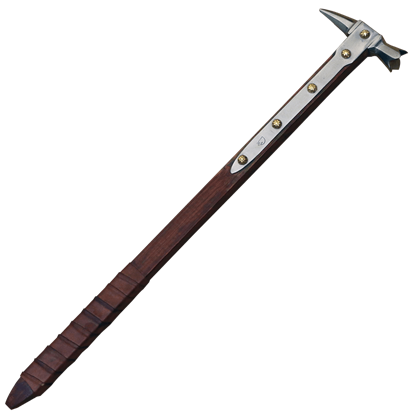 The war hammer was a powerful and fearsome weapon in the Medieval era. The 14th Century Italian Beast Hammer intensifies that fear with a roaring beast sitting atop its pole that is prepared for the brutality of battle. If a foe should approach you clad in full armor, you know what weapon to reach for. This 14th Century Italian War Hammer was made for armored opponents, possessing a hand-held size that packs a punch against any who stand in its path. Every sword enthusiast needs a stunning piece to complete their collection. The 15th Century Blunted Ring Hilt Sword is just that, its eye catching features and blunted edge making it ideal to be a sword on your wall or your side. When you are sword fighting, you need a weapon that is functional, alluring, and protective. The 15th Century Ring Hilted Sword encompasses all three of these features, making it your ideal sword for light combative use. This dagger draws its name from its shape. 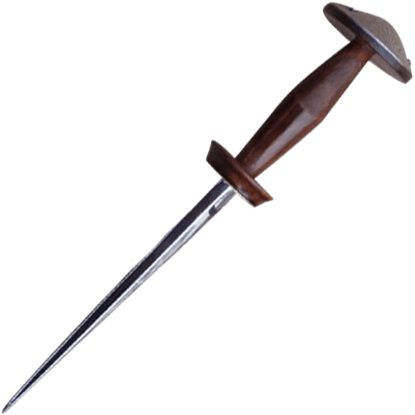 The 15th Century Rondel Dagger is based on a historical piece that echoes the popular daggers of the fifteenth century, especially those that were favored secondary weapons and misericords. Medieval history shows an array of deadly weapons being used in battle, but few are as interesting and eye catching as this one. 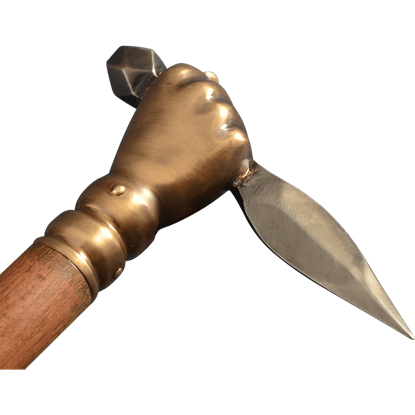 The 16th Century German Dagger Hammer paints a deadly image, depicting a powerful fist clutching a spike.